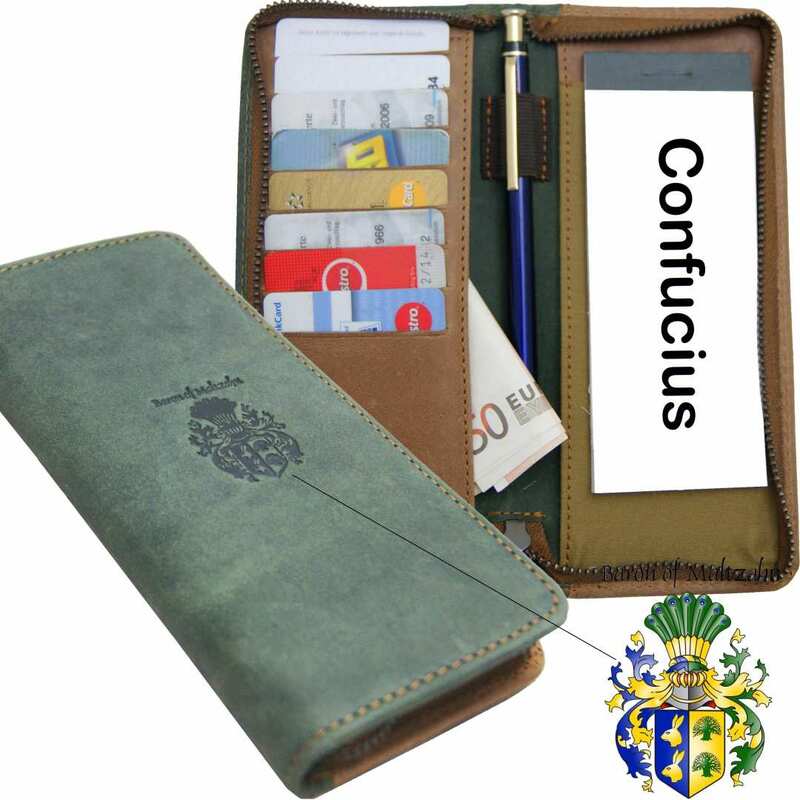 Product information "Credit card holder CONFUCIUS of olive-brown leather"
The credit card holder CONFUCIUS made of brown and olive leather gives you an elegant solution for the rising number of credit and visit cards in your wallet. Do you carry too many cards? Find lots of space here! Do you belong to the group of people that gradually get the upper hand regarding credit, discount, client, insurance and key cards? 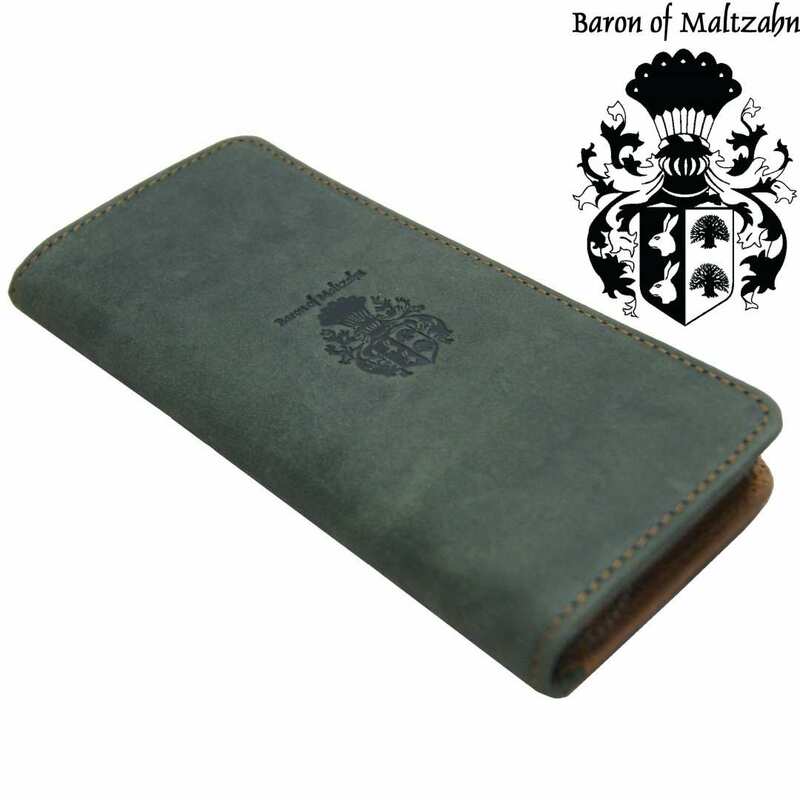 With the leather card holder of the collection BARON OF MALTZAHN, you can keep those little space robbers well arranged in only one accessory. This way, if you want to pay by card, you can even leave your wallet safe at home! This card holder is especially practical thanks to the lashes for a notepad and a pen that will enable you to carry all this items compactly. The fine leather in two different colors gives the card holder its elegant look. 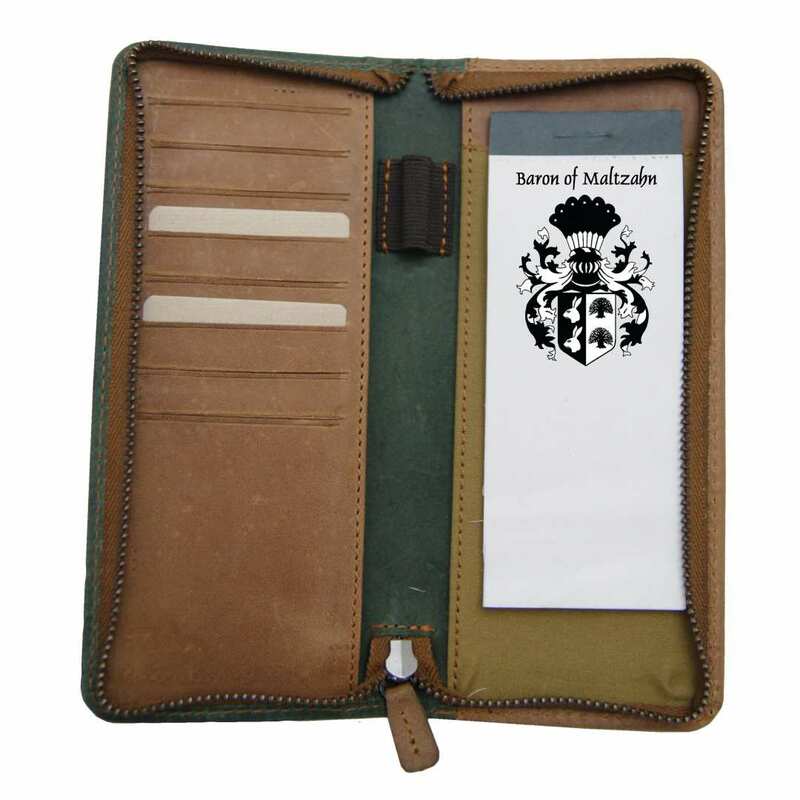 In order for you to enjoy the writing case made of leather from the first moment, we deliver it in a special gift box with the designer’s crest. Maybe you are looking for the perfect birthday present for a fashionable person? 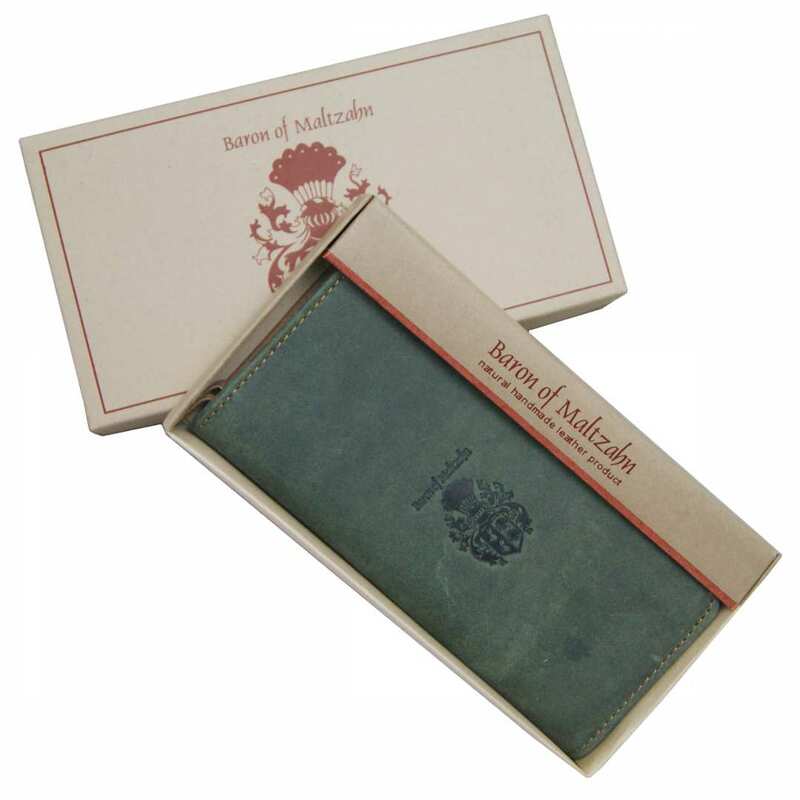 Then choose our card holder with a gift box and forget wrapping the gift! Twelve compartments for credit cards and Co. In the leather credit card holder you will find eight card holders. Another two extra compartments are available, as well as a hidden section on the outer side for extra storage space. This way, you can also keep some bills and the tickets comfortably with you. The total size of the credit card holder is 7.1 x 3.1 x 1 in (18x8x2.5 cm). This article has been handmade and only produced in small series. 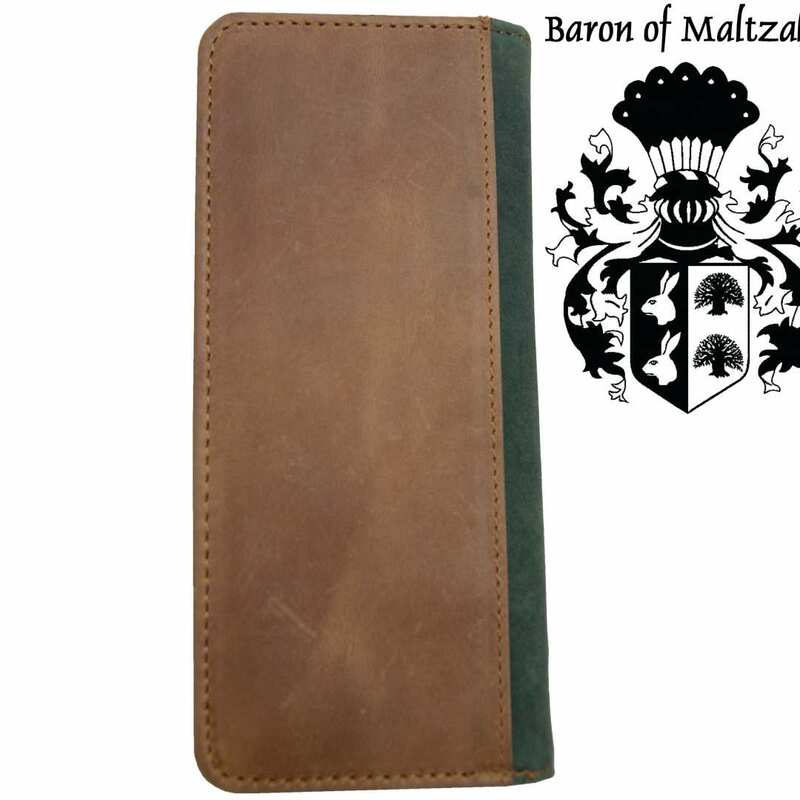 It consists of 100% naturally treated bovine leather and has two different colors: olive-green and light brown. The rivets of the case suit the appearance and the tones of the accessory. You can close the case just by using the valuable and resistant gun metal zipper. Order now and surprise someone special! Reviews for "Credit card holder CONFUCIUS of olive-brown leather"